Perhaps you’ve never before owned an iconic Cherokee, Wrangler, or Renegade, and you’ve decided that this year, you’re going to change that. Or maybe you’re a Jeep devotee and now you want to replace your favorite model with the latest edition. Either way, you’ll be searching for “Jeep dealership near me Loveland” that carries the rugged SUV you want. Look no further than Pollard Jeep, where a large, ever-changing inventory of vehicles gives you plenty of fine options to choose from. Additionally, the friendly, helpful, and courteous staff is on hand to answer your questions about vehicle financing and car ownership. An added advantage of this premier Jeep dealership is that in addition to sending you away in a new car of your dreams, you’ll be able to come back as needed for your car care needs, including routine maintenance and the occasional repair. So if you’re wondering “where can I go for comprehensive car needs near me Loveland?”, Pollard is it. 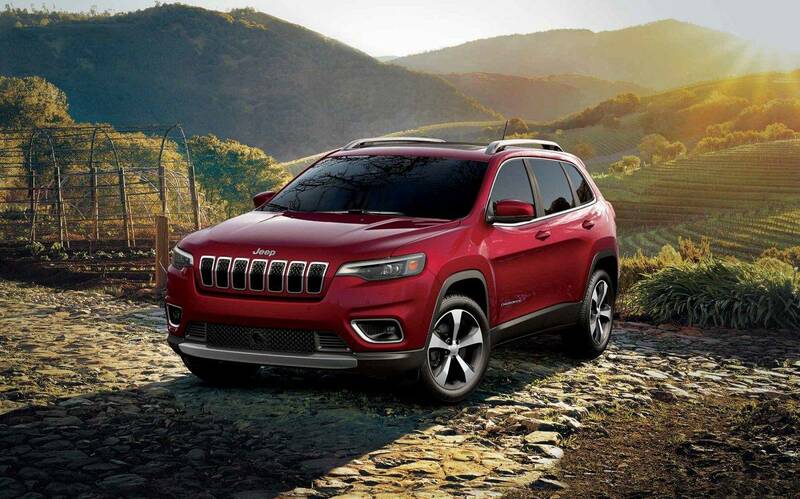 Maybe you’ve been hearing about how great the new Cherokee is, complete with a healthy dose of new interior technology, a stylish exterior design, and more safety amenities than ever before. Or maybe the latest Wrangler, which received the honors of Motor Trend’s SUV of the year, has caught your attention. If you’ve been wondering where to get a Wrangler near me Loveland, visit Pollard Jeep in person or online to check out the inventory. 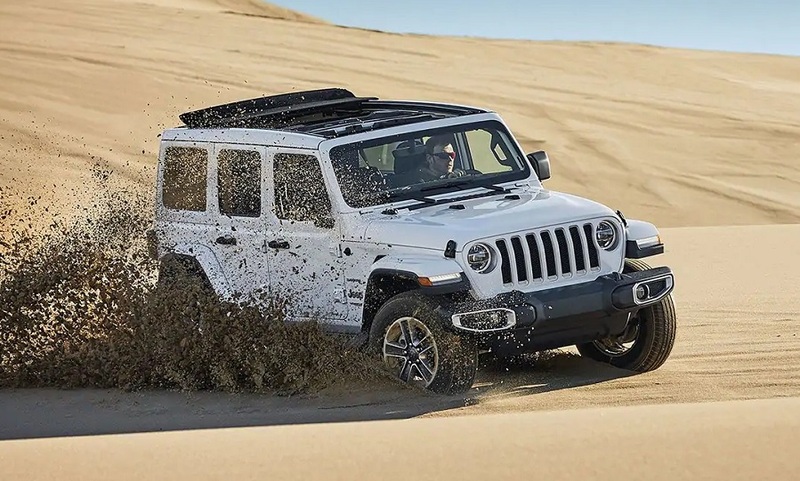 At Pollard, you can explore the various trim levels of the Wrangler and learn more about its impressive off-road capabilities, which are some of the best among SUVs around the world. And don’t miss your chance to try the Grand Cherokee, either. 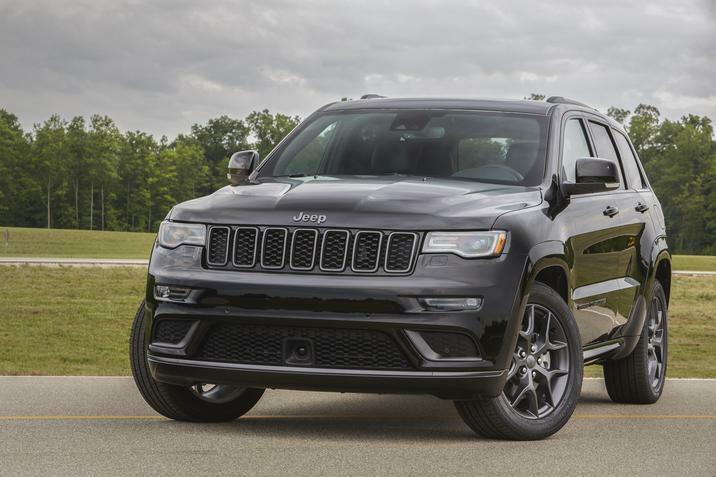 Available in a variety of trim levels, the Grand Cherokee, which gives you great value, gets the title this year of the SUV with the most awards out of any. No matter which model you’re eyeing, you can’t go wrong with any of them. But you might be asking yourself what the advantage is of getting a new car, and if you can justifying spending more on a dream car. There are several good reasons why you say “yes, I can invest in a new car near me.” First, when you get a new car, you’ll have plenty of options for a custom finish. Want a particular paint color, a higher quality sound system, or an off-road package to make your car even more adventure-ready? When you get a brand new car, you have all the options available for a personalized finish. Additionally, you know that a new car has no miles on it, which means that it should last for a long time provided you take good care of it. So if you’re looking for an adventure companion in your car, just tell the staff at a Jeep dealership near me Loveland that you’re ready for a new vehicle. Now that you’re convinced “it’s time to get a new car near me,” you may be wondering “how can I afford to get a new car from a Jeep dealership near me?” Fortunately, in addition to selling you a car and showing you all the new models available, the helpful and knowledgeable staff at Pollard Jeep can also explain vehicle financing. If you’d like to plan car payments as part of your comprehensive budget, the staff at Pollard can go over the financing options available. If you’re looking to try out the latest Renegade or Cherokee, but you’re not sure that you want to fully invest in buying the car, you can try out a lease. A lease requires you to pay the cost of the car’s depreciation. However, you won’t be paying off the cost of the car itself, which means your monthly payments are lower than with a loan. With a car loan near me Loveland, you’ll make monthly payments until the car has been paid off. When that happens, your new Jeep is fully yours! Despite what you would like to believe, you can’t simply drive off the lot once you get your new car and never have to worry about care or maintenance. Luckily, the staff at Pollard understands that your car will periodically need maintenance and repair services. Therefore, you’ll find a comprehensive service center where expert mechanics use the latest tools and diagnostic equipment to get your car in top shape. Whether you need a regular oil change, tire rotation, or repairs, call or contact the service team to make an appointment. If your car needs a part replaced, rest assured it will get only the best parts possible. Getting a new car is exciting, but it also requires some research and knowledge. There’s a lot to think about when you’re planning to get a new vehicle, which is when you should decide “I need the help of a Jeep dealership near me Loveland.” With an extensive inventory of award-winning models and a caring staff, Pollard is your go-to Jeep dealership for all your car needs.